The !Help! NDA is a universal Help system for the IIgs, that can be accessed system wide. 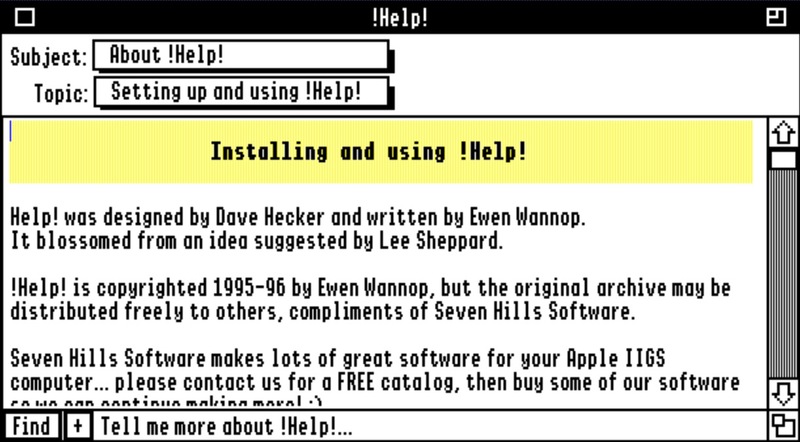 This makes it independent of the current running application, and makes it useful as a source of information that is available at all times on the IIgs. You will find !Help! files included with many of my own software applications, and full instructions are included to tell you how to set up !Help! files for your own application.